What’s the difference between someone who wakes up everyday feeling energetic, strong, able to achieve their goals, and easily influences people, as opposed to someone who feels like they’re struggling, frustrated, and can’t seem to get to where they want to go? It’s not their fault. It’s not life’s fault. It’s not situation. Nor environment. It’s what we call frequency. It’s about switching certain things. Your standards. Your belief systems. Certain small things, that if you change it, everything will unlock itself. How do you wake up everyday with energy? How do you achieve your goals and get into that state where you feel “unstoppable”? There are three inhibitors to feeling “unstoppable” or a feeling of “Invincible”. Living An Unhealthy Lifestyle – The first inhibitor is your lifestyle, which includes your physical activities, your diet, your sleep patterns, even your breathing patterns. These all influence the way you’re living, hence affects your energy quality and how you feel every day. Negativity – The second inhibitor involves the influences on your outlook on life. This includes the people around you, your environment, and your social media feed. Lacking Motivation – A lot of people feel like they plateau in life. They feel like they’re not getting more out of life. They can’t find the drive and passion to train or move forward in life. We’re not just talking about surface motivation, we’ll be going a little deeper into this below. In 2011, I landed my very first 9-5 job, and got a taste of what it is like to work full-time. It was with Irwin Tools, a big American tools company. It was actually a really good job. I was given a brand new company car, had a company laptop, and credit card. Every two weeks I’d get to go away to Newcastle in four star hotels, with all expenses paid for. Each day after work I could just drive to the beach. So for most people, you’d think that it’s a pretty good life. It wasn’t something that I really passionate about. Every day I would wake up with low energy and motivation. I didn’t feel good. I couldn’t maintain my training. By the time I got home, after 8-10 hours of work, I didn’t feel like training because my energy was all depleted. I was also surrounded by a lot of negative people. Every time there was stress they would go out for a cigarette, and would often be bitching and complaining about each other. There was a lot of negativity. So eventually I left that job to work on building Invincible Worldwide full-time. So while I was building it up, I made sure I was walking my talk. Everything that I was teaching my students, I was still making sure I was doing myself. 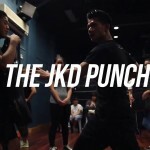 So I got back into training. I cleaned up my mindset. Everything boosted back up. Today with Invincible Worldwide, we’re able to inspire over 110,000 people around the world. We’ve got over 13 Million hits on our YouTube Channel. We’ve built an Invincible HQ, where we get to inspire and change the lives of hundreds of people every night. So it’s been a big shift. In this article, I will show you how to shift your frequency. How get yourself into that state where you’re unstoppable. The key is achieve balance in what I call the Invincible Trifecta. If you can understand this concept, everything will be unlocked for you. There are 3 forces that have a major influence on your frequency and your results in every aspect of your life. If you start to move yourself into a healthy lifestyle, including eating right, sleeping right, exercising often, you’ll begin to put your body, your metabolism and biochemical processes into better motion. Here’s a tip to raise your metabolism, so that everything you eat during the day goes straight to energy instead of being stored as fat. When you wake up in the morning, before you eat breakfast, do something that raises your heart rate. This could be as simple as skipping for just 2 minutes! Moreover, when you get active, your body releases endorphins, serotonin and makes you feel good. 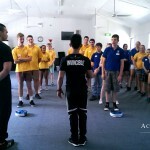 At Invincible Worldwide, we take it to a whole new level with our training. Not only do we get you to be fitter, stronger, and more functional. We take that word “functional” to a whole new meaning. Our goal in training is to get your body and mind into the zone, so when you want it, it’s there. We teach you skills, strength, and to move in different ways so that you actually take your body, flexibility, mobility, strength, speed, power to a whole new level, instead of just going to the gym. The problem with most people when they go to the gym, is that they often come out feeling sore, heavy and stiff. And often they find it hard to stay motivated and get results. So we like to train differently. So the first step to feeling unstoppable is to do some sort of physical exercise every single day. Get your body moving. Start to surround yourself with people that are moving towards where you want to go. Surround yourself with people who inspire you and who support you. Stay away from people who complain often, who put you down and who discuss low quality ideas. You have to surround yourself, your Facebook feed, your Instagram feed, your social media, your walls, your room, with the things that inspire you, so that your mind is protected. So that everywhere you go, every single day, your mind is unstoppable. Having a strong mindset also means being aware of how you’re reacting to things. For example, if someone cuts you off when you’re driving, what’s the first thing that comes out of your mouth? What’s the first thought that you have? If you’re walking past the table and you spill water a glass of water, what’s your first reaction? Do you get angry? Do you get frustrated? Or do you just move on calmly? Remember, it’s not what happens to you in life, it’s how you respond to it. The most successful people are able to respond effectively, rather than reacting with emotion. In Zen practice, we call this the art of thinking right thought. The reason why a lot of people are lacking motivation and drive is because they’re lacking lacking meaning in what they do. They’re lacking the feeling of being on purpose. Or they’re lacking this feeling of doing something bigger for the world. They’re playing small. “Meaning” means you’re tapping into yourself. You’re not listening to anyone else, or the media, or society’s expectations. You’re listening to what you’re truly passionate about. What you want to do. These are the Invincible Trifectas that will help you to feel unstoppable, energetic, and strong. If you look closely, the Trifectas are about aligning your your body, your mind, and your emotions. When you maximize all three, you feel unstoppable. This helped my life, changed my life. 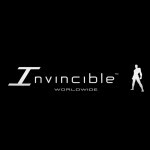 Our mission at Invincible Worldwide is to help you be extraordinary. We’re fighting against mediocrity. We want to help people who feel they can be more in life to have the resources, the motivation and platforms to be able to feel Invincible. Imagine if everybody can live on that level, what would our world be life? Everyone would be walking around positive, inspired, helping others, paying things forward. So today, find three things for each of the Trifectas that you can starting doing to move yourself forward. How can you train better? What three things can you start doing to improve your movements and to improve your physical health? What three things can you start doing to improve your mindset? What three things can you start doing so you can living, start living on purpose every single day. If you have any questions, let us know. We’re here to help you get into the zone so that you feel invincible, so you can get out there and inspire the world. This entry was posted in Blog on August 9, 2018 by Invincible Worldwide.